Did you know DJI, Nielsen and L’Oréal were some of the companies hosting presentations on-campus last month? 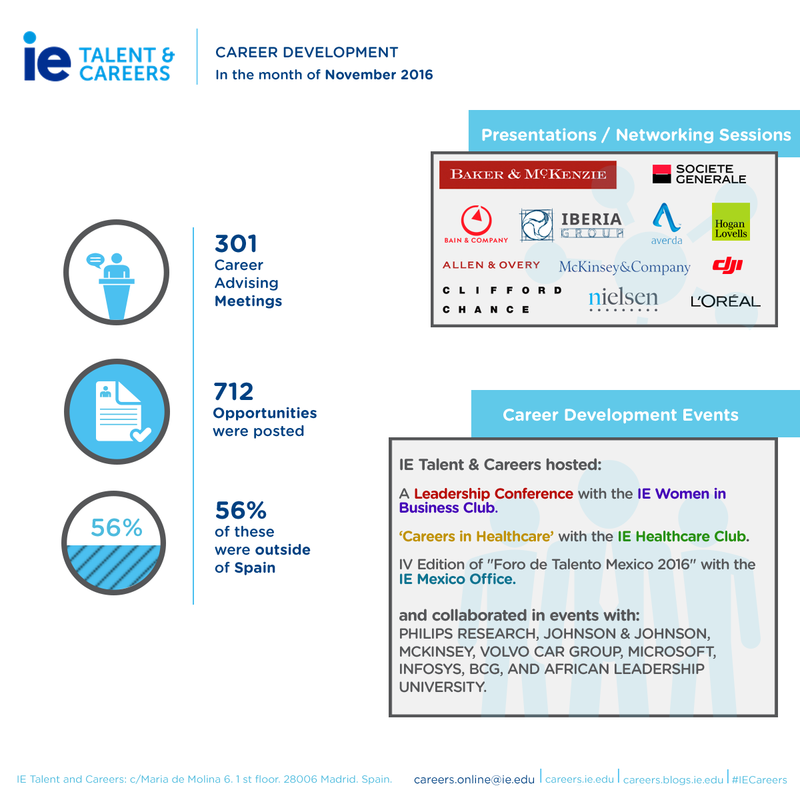 The following is a summary of IE Talent and Careers’ career development activities with companies and students during the month of November. As a result, the department is able to provide on-going, top quality service to students across all IE programs. Success Stories: Arnaud Maes at DeloitteWhat’s 10 weeks, 13 interviews, 0 applications, and 1 new job? Priceless!